What did Radcliffe on Trent women do in WWI? The Radcliffe WWI team are researching what local women did in WWI and how their lives changed. 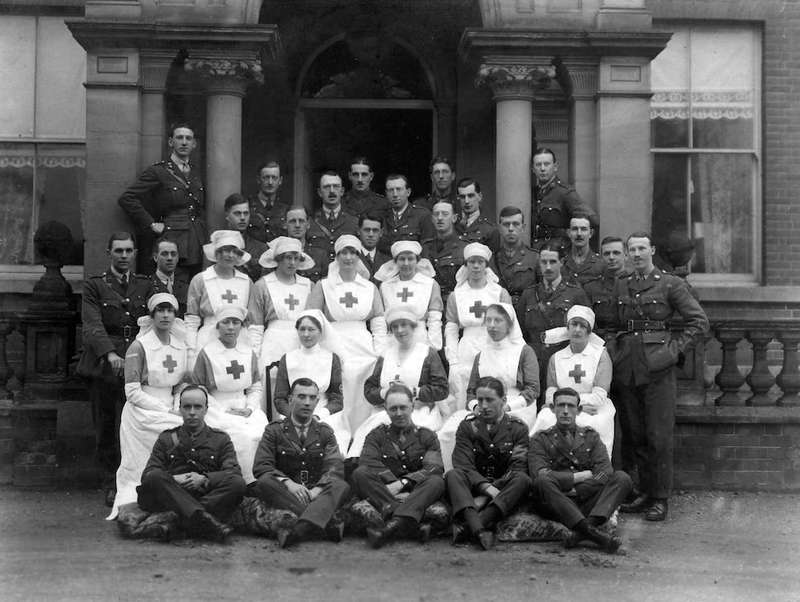 We have already completed biographies for nineteen women who were employed as Red Cross VADs, nurses, or general hospital staff during the war years and for seven teachers employed at Radcliffe on Trent school. Our other women’s biographies include a railway porter, shopkeeper, and a member of the women’s forage corps. We are now exploring local women’s involvement in the suffrage campaign and organisations affiliated to the Labour Party. We have recently completed piecing together the life story of Kate Barnard, a Radcliffe on Trent woman who served in the Queen Mary’s Army Auxiliary Corps. Go to Radcliffe Women to discover our current women’s biographies. Despite its relatively small size, Radcliffe on Trent had three war hospitals. As the war unfolded, private premises were converted to hospitals and public institutions were requisitioned by the War Office for medical use. These hospitals offered new opportunities for women. Lamcote House, a large country house in Radcliffe on Trent owned by the Birkin family, became an auxiliary hospital for officers. 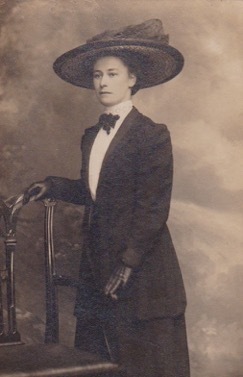 Claire Birkin was the commandant and her daughter Violet was a Volunary Aid Detachment worker. Women from the village who worked there included sisters Lucy and Daisy Sharp, who began unpaid duties at Lamcote when it opened in 1918 and Violet Bishop whose brother served in Lt. Colonel Birkin’s regiment (the Robin Hoods). Nottinghamshire County Asylum on the outskirts of Radcliffe on Trent was converted to a military hospital in 1918 for soldiers suffering from war-induced trauma. 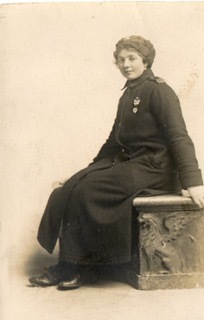 Ellen Leaver was the matron and various local women took on war work at the hospital. They included neighbours Susanna Addyman and Ethel Bloodworth who were employed as linen storekeepers, Cissie Wesson, a married woman with a small son who was a discharge clerk for six months until the hospital closed and Florence Parr who became a medical officer clerk, receiving a wage of £2.2.6d in August 1919 shortly before the hospital reverted to an asylum. Less information is available for the third hospital based in the private home of Helena Smith, Radcliffe Hall. However, the story of her marriage to one of the patients, who lost his arm falling on a bayonet, is well known in the village. Patients and staff outside Lamcote Auxiliary Hospital for Officers. Many Radcliffe women who worked during the war were affected by the loss of loved ones. Helen Packwood’s brother and Ada and Grace Newbury’s two brothers were killed in action. Dorothy Turner’s brother died after eight years suffering from war wounds. Two of Mary Brice’s sons died of war related illnesses after the Armistice. Violet Bishop’s brother was wounded and a prisoner of war, Mary Scrimshaw’s husband was wounded, Violet Birkin’s husband was hospitalised with heart problems during the war and Ada Newbury’s husband, William Ecob, suffered from war related trauma. Radcliffe women’s lives varied after the war as they adjusted to new circumstances. Most teachers continued in their profession until they retired. Some women married and had families while others remained single. 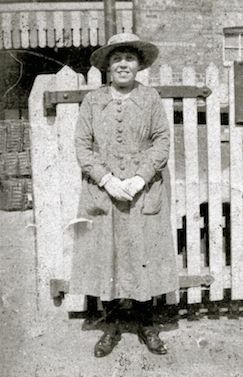 Railway porter Gladys Breedon moved away after marrying a Methodist minister, Olive Elnor, who had been a nurse, became a poultry keeper while Ellen Leaver, matron at the asylum, continued in post. Grace Durant carried on working as a nurse. When Helen Packwood retired from teaching in 1936, she went on to work with her brother in the local newsagent; many older Radcliffe residents still remember her. The impact of the war on these Radcliffe women’s lives is an ongoing investigation and more local women’s stories are yet to be discovered. An eventful woman’s story we are currently exploring is Grace Durant. She was the daughter of the local district nurse and became a nurse in Malta. New information about her life has recently come to light and will be added to her biography in the coming weeks.